The fame of Mu Cang Chai has been recorded in the paper, photo, video, and deep inside the mind of many tourists who have the lucky opportunity to explore the beautiful terraced rice fields. 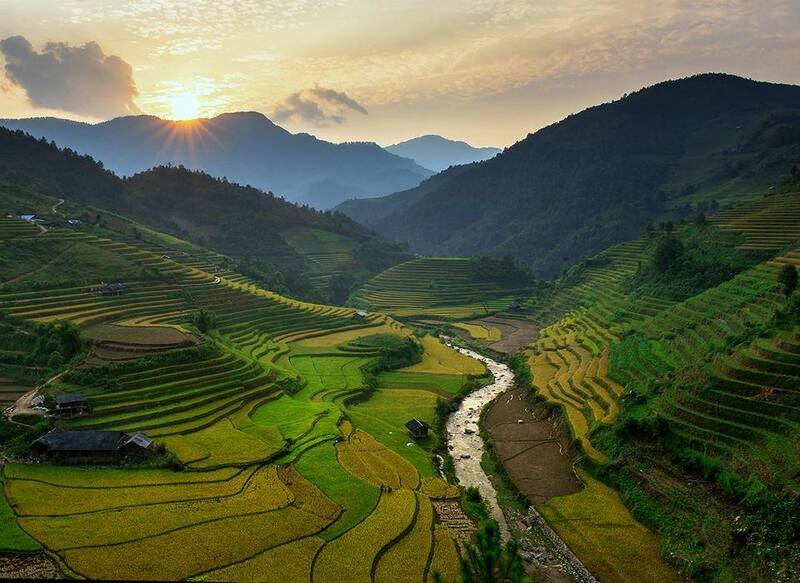 Know that Mu Cang Chai is one of the best destinations for Vietnam Photography Tours. 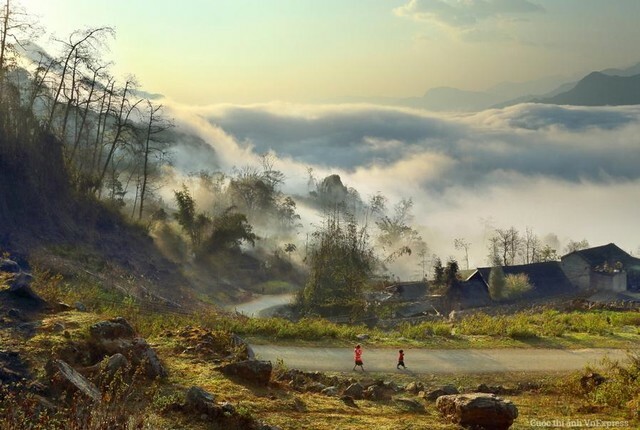 Being a rural district of Yen Bai Province, Mu Cang Chai is peacefully nestled in the northeast of Vietnam. Following the National Road 32 from Hanoi Capital and you will approach the natural spot within the 290km drive. The terraced rice fields in La Pan Tan, Che Cu Nha, and De Zu Phinh villages are spotlighted during the Mu Cang Chai Tour. The photographing opportunities are boundless and seamless here. 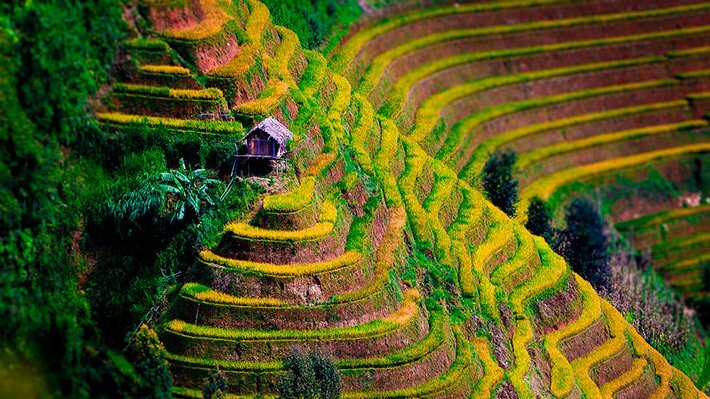 So, what is the best time to photograph Mu Cang Chai Terraced Rice Fields ? In fact, there stand the three most significant times to snap the best of the natural highlights during its single crop per year (from June to October). June is the milestone of the beginning of the crop in Mu Cang Chai when the hill-tribe people here make the initial preparation for a new rice crop. The first summer witnesses the occasion of what is called “the falling water season”; the water is running from the peak of the field to its bottom. The water supply to the terraced rice field is very essential. Also, this season inspires the photograph hobbyists to record the local activities on the field. The hill-tribe people with the special clothing working in the group together with the water buffalo on the green rice field are the great subject to be taken pictures. It is when you contemplate the evergreen scenarios of the immense terraced rice field which is overwhelmed by the compatible rice carpet. Promisingly, the green field can even cool you down despite the hot sun. The field is not crowded as there are a few local farmers working on it during this season. But if you tour this time, expect to ease the eyes with the wonderfully giant greenness. Ever wanted to take pictures of the golden field? You make it right in Mu Cang Chai during the harvest time as the fields now look brilliant yellow with its fullest attractiveness. Many Mong ethnic farmers wearing their traditional attire come to the field to harvest the ripe rice, and it’s time for you to photograph the perfect blend of human and nature (mountains, hills, rice fields, bridges, streams, rivers, etc.). Also, you find the ethnic-minority moms that are working while carrying their infants by using their cloth as the cradle on the back. There are many kids available that run, chat, and giggle happily. What could be more incredible than witnessing the change from green to yellow of the terraced rice fields of Mu Cang Chai? If possible, come in June and then September, you will find out the miracle with the most extraordinary photos ever. Magically, the enormous yellow staircases are said to take you from earth to heaven. Everybody will say “wow” the first time they look at your imposing photos about the green and yellow Mu Cang Chai field. So, trust us! You can freely photograph the natural highlights and the daily activities of the ethnic minority groups here. 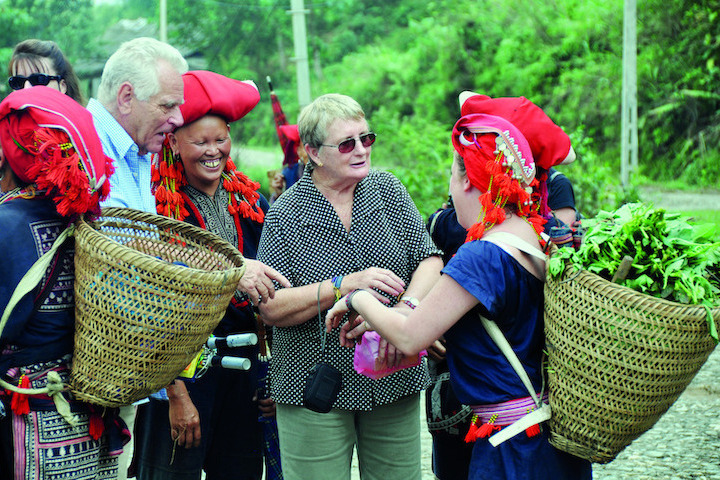 Morning we will pick you up at your hotel and transfer to the ancient village of Duong Lam, the place so called “Hoi An of the Red River Delta” as still preserve many hundred-year-old houses. 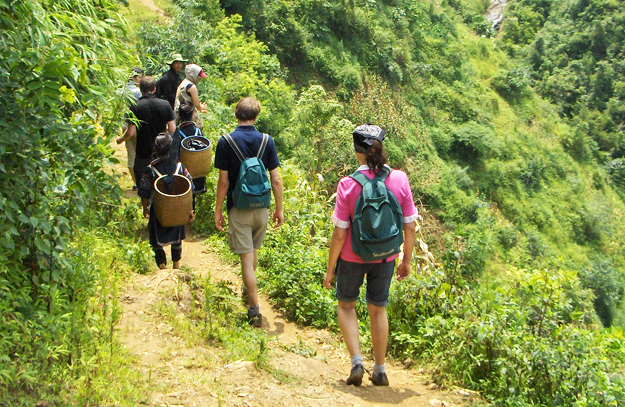 It will be your unique experience as you walk along tiny ancient alleys, visit Communal House in MongPhu hamlet. 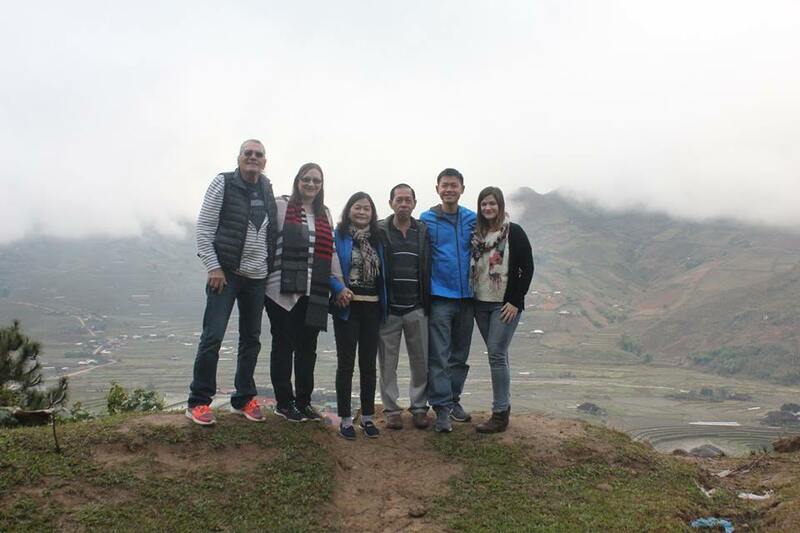 Enjoy the great home hosted lunch in ancient house then driving up to Nghia Lo. On the way, we will stop in Thanh Son – Phu Tho province to visit the hills of tea cultivation. You have a time for taking photos with hill of tea and enjoy a cup of tea. Arrive at Nghia Lo. Check in hotel, enjoy dinner and overnight in Nghia Lo. Photo opportunities: Duong Lam – ancient village, Thanh Son hill of tea. After breakfast, depart to Tu Le. The first stop for photograph today is beautiful rice field in Tu Le and amazing Lim Mong Valley. You can take the great photo of this valley both in the valley and from the high view point on KhauPha Pass with amazing rice field. The drive over KhauPha – one of four amazing passes in the North of Vietnam. Enjoy the great scenery of terrace rice field at Mu Cang Chai – the most beautiful terrace rice field in Vietnam that had been recognized as National Heritage of the country. 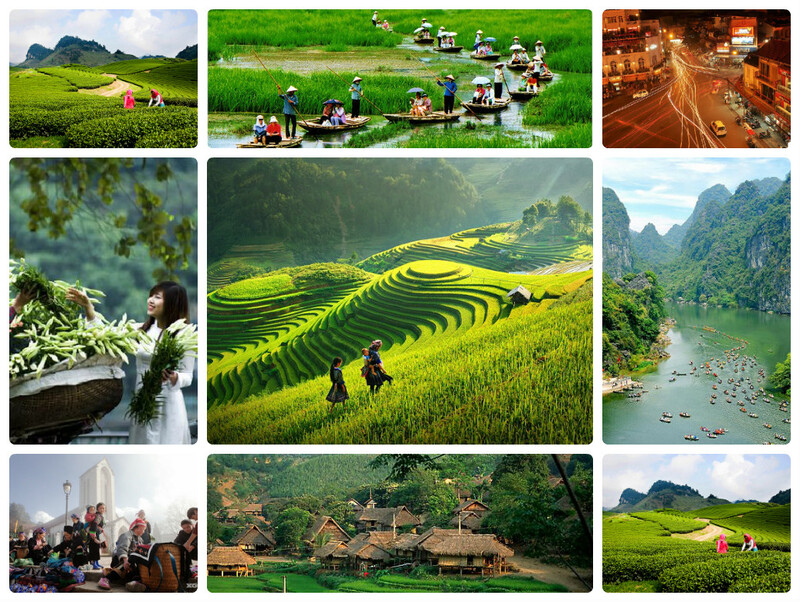 Photo opportunities: Tu Le, Lim Mong valley, Khau Pha pass, Mu Cang Chai terrace field. After breakfast, you will have the whole day to take photograph of terrace rice field in Vietnam. In the morning, take a short drive from Mu Cang Chai to Ba Nha, where you can take beautiful hike up to mountain for the most impressive rice field in Mu Cang Chai. 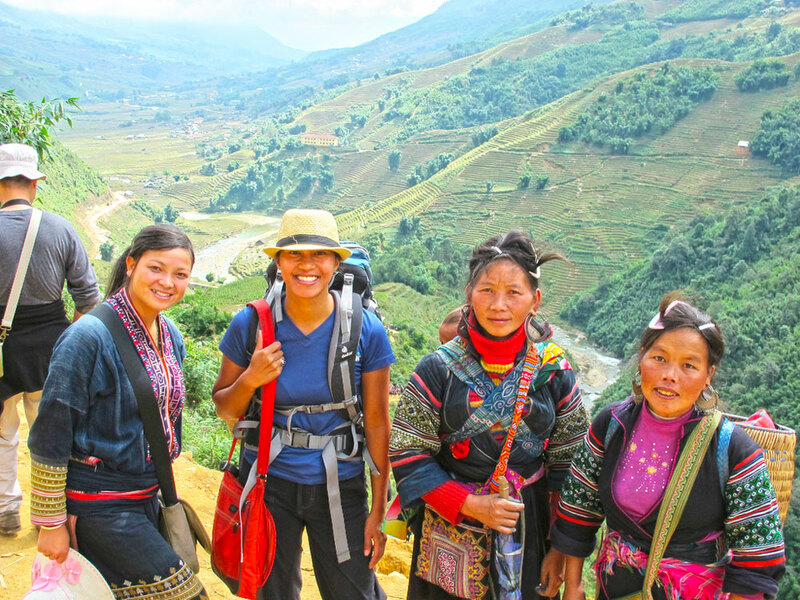 Just few steps uphill, you will feel like in the totally different world that you can easily spend the whole morning to take photo of amazing rice field, scenery and hill tribe people in their village. 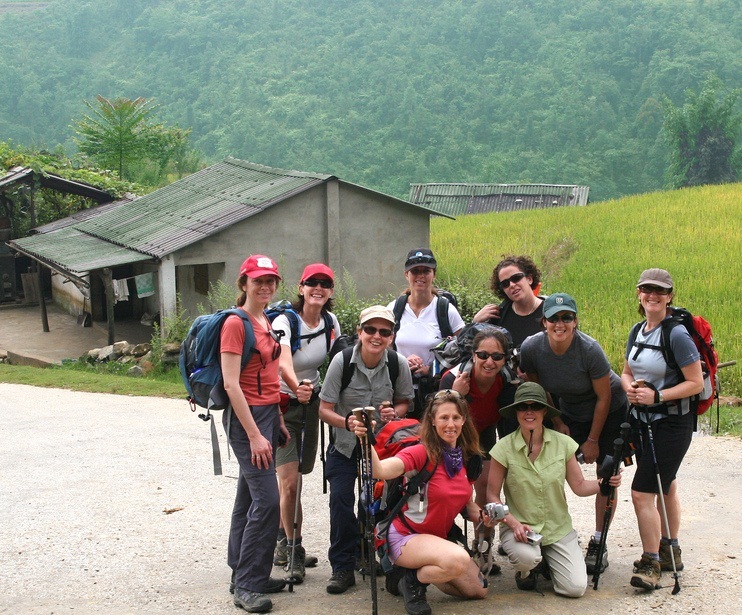 After lunch and relax, we will take photo in another beautiful venue: La Pan Tan terrace rice field and surrounded area. This will be one of the best photos shooting on the whole trip. Back to Mu Cang Chai town for dinner and overnight in hotel. 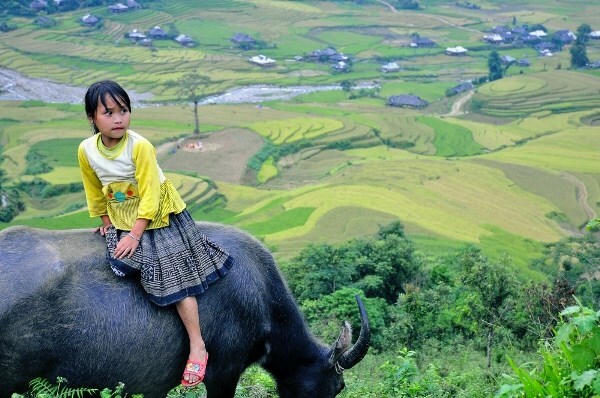 Photop opportunities: Mu Cang Chai terrace field, hill tribe people and their village. This morning we drive from Mu Cang Chai to Than Uyen with beautiful rice field along the road. Upon arrival to Than Uyen, you can take beautiful shot of spectacular Hoang Lien Son mountain range then take a short hike along rice field to the village of Thai people at the food of the mountain for candid and daily life photograph. After that, keep driving from Than Uyen to Van Ban. Enjoy the great scenery of mountain area along the way. Drive back to Hanoi along the new Lao Cai – Hanoi highway. Finish the tour at your hotel in Hanoi. Say goodbye see you in the next trip. Photos opportunities: Than Uyen, Van Ban, Mong and Thai village.